Wake up to waterfront views and step out your door and go swimming right in Cheow Lan Lake. Your raft house is rustic and simple, but nothing beats being this close, staying above the lake. From the steamy streets of Singapore to the pulsating tourist mecca of Bangkok, this adventure will see your tastebuds tingle on Singaporean laksa, heart soar while scaling Kuala Lumpur's tallest tower, spirit warmed by a cup of Cameron Highland's tea and body challenged while hiking, climbing and tubing around Khao Sok National Park. From bustling big cities to isolated islands, everything in between Singapore and Bangkok is exciting and exhilarating, combining ancient tradition and new-age impulses into one unforgettable journey. TRIP UPDATES FOR 2019: From 1st January 2019 this trip will be discontinued. For another great journey in this region, from Bangkok to Singapore and in Original style, see our TMSM trip. everything was great, but there was one day where it is a whole travel day, and we spent 9 hours on a small minivan, so it was hard. Welcome to Singapore, home to a thriving cross-cultural food scene, not to mention one of the world's best airports. Your adventure begins with a welcome meeting at 6 pm on Day 1. You can arrive at any time during the day as there are no activities planned until this important meeting. Just ask the hotel reception where and when it will take place, or check the notice boards. We'll be collecting your insurance details and next of kin information at this meeting, so please ensure you have these to provide to your leader. Travel to Melaka today by public bus (approximately 5.5 hours). A former colonial outpost, this town retains a distinctive old-world charm that makes it a delight to visit. Travelling in local style by trishaw, you can take an optional tour of the town, cruising through the narrow, winding streets to get a taste of old Melaka and learn about the ancient local spice trade. Along the way you will pay a visit to Harmony Street, an aptly named strip of mosques and temples that exudes a tranquil air. You will also check out a mosque, a variety of Chinese Buddhist temples and a traditional Muslim house-museum. Transfer by local bus to Kuala Lumpur (approximately 2.5 hours). In Malaysia's cosmopolitan capital (affectionately known as 'KL'), you will be staying right amongst the night markets and hawker stalls of the famous Petaling Street in Chinatown. This is where you will find, among other things, all kinds of excellent local cuisine, from spicy Kin Kin with noodles to the popular Chinese-style soup Bak Kut Teh. Your evening is best spent here, shopping for bargains and perhaps enjoying a dinner of delicious street food. While you're in KL, be sure to grab a map and explore the many walkable areas in town. Enjoy a free day to explore the pulsing melting pot that is KL. Keen shoppers can visit Bukit Bintang, the main commercial district. The Kuala Lumpur Tower, aka Menara Tower, is also well worth a visit – keep in mind that an entry fee applies. You might like to head out of town to visit the famous Batu Caves, a series of grottoes nestled in a limestone hill by the Batu River. A great activity is to visit the vast but centrally located Lake Gardens, a lush and relaxing area covering some 227 acres. This is where you'll find the Botanical Garden, Orchard Park, a bird sanctuary and the Islamic Arts Museum. To learn about Malaysia's indigenous history, head up to the Orang Asli Museum. Travel by public bus to the dramatic and beautiful Cameron Highlands (approximately 4 hours). These verdant green hills, comprising the Tringkap, Brinchang, Tanah Rata and Ringlet areas, were a favourite getaway of the colonial British. It's a place of tranquillity, fresh air and natural beauty, the ultimate escape from the city (or, in the case of the British back in the day, the jungle). Enjoy some free time here. Stroll around, find a quiet spot to relax, or perhaps sample some of the tea the area is known for. Continue to Penang, Malaysia's prized island. Discover its exotic blend of cultures; a great place to start is with the excellent, diverse local cuisine. This island is famous for its food, thanks to the many cultures that have lived side-by-side here for centuries. Don't miss the food stalls that are set up along many of Penang's streets. Try a refreshing ice kacang (a dessert made with crushed ice, syrup and a mixture of jellies, nuts and sweet beans), or a hearty nasi kandar (a dish of steamed rice accompanied by curries, fried chicken, seafood or vegetables). Your accommodation is located in the heart of historic Georgetown. Rooms are twin-share with private facilities. While the hotel is basic, it is a great base for exploring the temples, mosques and museums. Today your leader will take you on a guided orientation walk through the Georgetown area to check out the shophouses and interesting street art. For the rest of the day you are free to check out Kek Lok Sii Temple (the largest Buddhist temple in Malaysia), Khoo Kongsi (amazingly ornate and one of the oldest clan houses in Malaysia) or perhaps Cheong Fat Tze Museum (fascinating if you have an interest in Feng Shui). Alternatively you can take a ride on the Funicular Railway for lovely views across the island. If you feel like more of the beach, or want a unique Penang experience, take a taxi over to Batu Ferringhi or delve into the unspoilt trails of Malaysia's smallest National Park at Teluk Bahang. Say goodbye to Malaysia as you cross into Thailand. Today is a long travel day to Ao Nang by mini van (approximately 8 hours, not including the border crossing). You will be crossing the border at Wang Kelian (the Malaysian checkpoint) and Wang Prajan (the Thai checkpoint) before proceeding up the isthmus through Krabi to your accommodation in Ao Nang. With beautiful white beaches, limestone karsts, cool blue waters and jaw-dropping scenery (both in and out of the water), Krabi is a top-notch coastal destination. Its nightlife is lively, so take the opportunity to hit the town while you are here. Ask your leader to recommend a good bar or restaurant. If you are looking for something active, a great option is to go sea kayaking. The rock-climbing is also excellent here, accommoding all skills levels. In the evening, look out for a beautiful sunset, and consider dining on seafood in one of Ao Nang's beachside eateries. Today is another free day in paradise. Perhaps take a boat trip out to the very photogenic Phi Phi Island. This island has been in several well-known films for good reason – it is perhaps one of the most gorgeous places to swim in South East Asia. Or maybe take a cooking class so you can relive the tastes of southern Thailand's most famous dishes when you return home. Travel to Khao Sok National Park by minivan (approximately 3 hours). This lush rainforest is a spectacular place to see wildlife. Cruise out along the Cheow Lan Lake and glimpse the great limestone cliffs. On your first night here you will stay in a simple raft house situated on the lake itself. You'll wake up to stunning views of the water. Wake up to your waterfront views this morning and enjoy some free time until lunch. Bid farewell to your jungle surrounds and continue to Surat Thani by minivan (approximately 2.5 hours). From here you will travel to Bangkok in true local style – by overnight train (approximately 13 hours). This is a great way to experience the countryside, and waking up to the scenery of a new destination is sure to give you a thrill. Your train will be basic but comfortable, with bunk beds, air-conditioning and shared facilities. Arrive in Bangkok early in the morning. From here your trip comes to an end, and you are free to explore Bangkok. 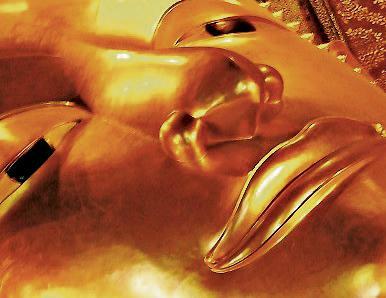 Perhaps take a riverboat to Chinatown, visit the Grand Palace and Temple of the Emerald Buddha, wander down the tourist mecca of Khao San Road, or indulge in some Thai massage.